The iPhone has supplanted the classic iPod in many households, and that’s only natural, since the iPod is in itself an advanced music player. The iPod is certainly not dead, but its usage is decreasing rapidly. If you too, like many other Apple users, have abandoned your iPod when you’ve bought your iPhone and left it in a shadowy drawer, don’t let it rust. 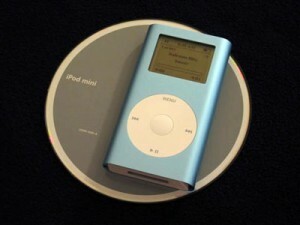 Turn iPod into a flash drive or mini hard disk. The iPod can be treated as a flash drive, and you can install on it operating systems or programs that you can then run in OS X and other operating systems. The thing is that an iPod used as a flash drive does get hot after a while, so you can’t just run your main operating system on it. But you can certainly use it to try out new operating systems or programs. Here’s how to turn iPod into a flash drive. First Format and partition the iPod hard drive using OS X. Note that you can format and partition it in any other OS as well, by using formatting software. Go to Applications > Utilities > Disk Utility > Partitions tab. Chose one or more partitions depending on how many operating systems you want to install on your iPod. You need one partition per OS. Wait until the formatting is finished to turn iPod into a flash drive. Now it’s time to install programs or apps on your new iPod flash drive. To install an operating system like OS X, Ubuntu (Linux), or Windows, follow the installation guidelines of the OS. Some operating systems like OS X have a convenient flash drive installation option in their installer, while others like Ubuntu require that you download a start-up disk creator. To install apps, simply download the apps and follow the flash drive install guidelines they require. Most apps can be installed on flash drives, by simply selecting the drive as the installation location. That’s it. Now you know how to turn iPod into a flash drive.